Contact our PartyMojo office at 65696992 / Sales 81606655 / Yolanda 81606622 to enquire now! Drop us a quick email at [email protected] today for your very own pancake live station! 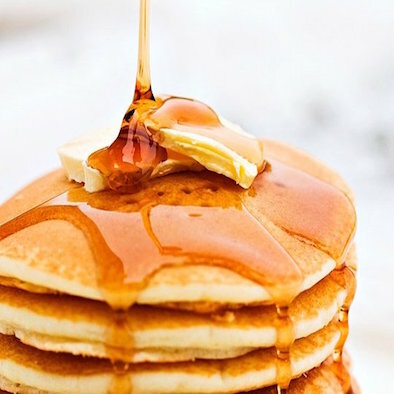 PartyMojo’s Pancake Live Station is something you definitely wouldn’t want to miss, as piping hot pancakes are freshly prepared and served on the spot! We served our pancakes with maple syrup as well as hershey chocolate syrup! What is included in the PartyMojo’s Pancake Live Station? Delivery, 1 young and lively manpower and also the set up! How many servings can be done in an hour? We cater up to 50 servings an hour! What’s required from me if I hire PartyMojo’s Pancake live station? Simply provide us a table and a powerpoint and we’re good to go! Table rental are available at $20 too! – All cheques are made payable to>PARTYMOJO PTE LTD.